Massive turbulence continued to hit the Indian airline sector as even the formidable passenger carrier IndiGo now faces headwinds of pilot shortage leading to a truncated flight schedule and consequently a dive in its stock price. Lately, the Indian airline sector has been hit by the double-whammy of high crude oil prices and low fares, leading players like Jet Airways either deep into red or asset restructuring programmes just to keep the company afloat. 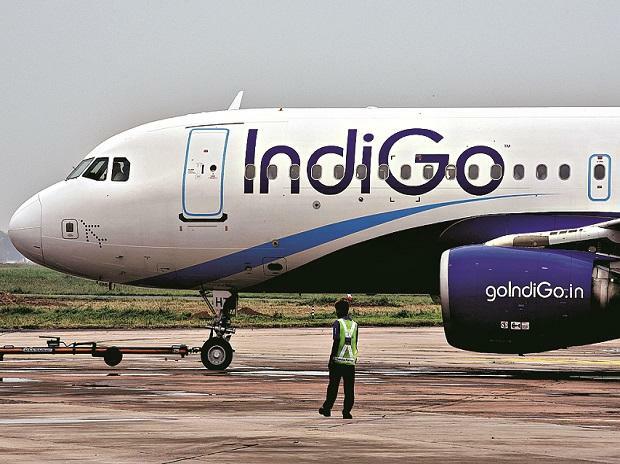 Interestingly, some industry insiders have termed IndiGo's case as unique, where the airline has over 200 pilots, commands the majority domestic market share but also faces shortage of pilots to maintain its schedule of over 1,300 flights a day. Since February 9-10, the airline has cancelled over 300 flights but this figure has been widely disputed by industry sources. On its part, the airline has said that cancellations have occurred on account of several factors like mismatch of rate of pilot induction and fleet augmentation, anticipated adverse weather related conditions and NOTAMS (Notice to Airmen) issued at various airports. However, industry sources say that the airline has cancelled more than 30 flights a day and has also clubbed several flights together due to shortage of pilots. Recently, reports quoted a senior airline official stating that the airline plans to hire over 100 foreign pilots to cover crew shortages. Sources have also alleged that the airline has stopped taking deliveries of turbo-prop aircraft -- ATR -- as the pilot shortage continues. Notwithstanding, the airline said that these 30 flights represent only two per cent of IndiGo's flights. It has decided to curtail its schedule till March 31, by approximately 30 flights a day. "As a proactive measure IndiGo has decided to continue its curtailment until the end of March. This measure has already been implemented and passengers informed," the airline had earlier said in a statement. "These medium term cancellations have been made to minimise the impact on passengers as alternative travel options have been offered well in advance. "The operations will be completely normalised by the start of the summer schedule, 31 March 2019," the statement said. Consequently, the stock of the budget passenger carrier has dived 7.5 per cent since the company announced a truncated flight schedule. Accordingly, the company's stocks from Feb 8-18th have dived by 7.5 per cent. On Monday, the company's shares fell by Rs 42 or 3.66 per cent to Rs 1,105.20 per scrip from its previous close. "IndiGo has fallen 7.5 per cent from Feb 8 to Feb 18...," said Deepak Jasani, Head of Retail Research for HDFC Securities. "Its scheduled cancellations of 30 flights every day would continue till March 31. Its crew addition has lagged its aggressive capacity addition. Although it is planning to induct 120 expatriate pilots by the end of this year to address staff crunch and subsequent flight cancellations, its image and revenues will take a hit till things are back to normal." Even the rising crude oil prices are expected to impact not just the airline but the entire sector's profitability. Flight cancellations by the industry has led to an increase in fares. "In the light of recent flight cancellations by various airlines, there is a bit of a supply constraint that arises in such cases, often leading to an increase in last minute fares," said Sharat Dhall, COO (B2C), Yatra.com. "Overall, we have seen that yields across domestic sectors have risen since the beginning of this year, driven by increased last minute fares, and we advise customers to book their tickets well in advance to ensure that they do not have to pay the higher prices."